Do you ever get into bed and snuggle down only to realise you still left the light on? Image if all you have to do is to say “Alexa, turn off the bedroom lights” and behold darkness! These are the times we live in when your personal voice assistant can control your tech. So how can we make this happen? 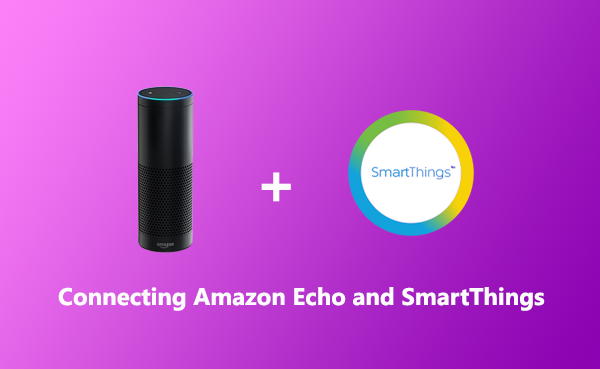 In this guide we take a look at how you can connect Amazon Echo to SmartThings and be able to control compatible devices. Why would I want to control my things with my voice? A lot of people ask “why would I want to control smart tech with my voice?” The answer is it’s more for convenience than a necessity. However, when you are carrying heavy things out of the room or wish to turn multiple things on at once, it’s very useful! As prices of smart tech become more affordable, there will be a range of devices around our home, which will naturally connect. By having a voice assistant such as Amazon Echo or Google voice, you’ll be able to talk to these devices via voice. Tweet us @A_Smarter_Home with your voice control setups and how they help you.